ARW videos from the first ever show! Well now that was a very interesting show to say the least. I’m going to have to take notes just to keep up with all the information. Can’t wait for the Dave’s book to come out something to look forward to in the new year. I remember when I went and seen Yes when 90215 and they were doing Changes and they just totally botched the intro to it I remeber Jon stopping them and saying to them all come on guys and they redid it and it was amazing.I think that was the only time I ever seen Yes do that. I feel that ARW played it safe I think to me Trevor looked nervous I’m not sure if that is even possible however that is what it looked like to me. Kevin I would love to support this podcast I will be looking into that for sure. You and Mark have been nothing short of amazing and I just want to thank you both for your hard work and love of the greatest progressive rock band in the world. How are you my friend! Thank you for the kind words and your support for the show. I’ve said it before…it’s listeners like you that make this podcast enjoyable to do. I agree…Trevor did look a little out of his element…but he also has been doing studio work for the last 10 years plus. ..live performance is a different animal all together. And the bass guitar needs to be more present in the mix..the sound he has during the Fish segment is fine…that needs to be more present in the mix during all the songs. 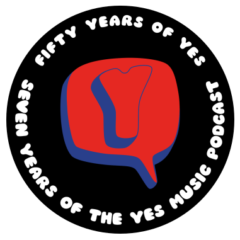 Just in case you didn’t know there is a youtube clip of The Fish on the Yes Music Podcast Facebook page. Thanks Paul! Yes Dave’s book is going to be great – as you know I’ve seen the drafts and it’s going to be a fascinating read! 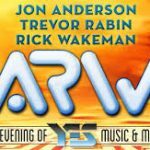 I will be watching out to see how ARW develop – at least Trevor has said he has passed up chances to do more soundtracks so he can continue. As always, it’s great to know you are listening. Hi Kevin,Pete Greenwood here from SeYeS. I’ve really enjoyed your podcasts and I was knocked out by Dave Watkinsons lovely comments about our show last week at Trading Boundaries. When he said we were “on fire” it reminded me of how hot it was on stage! I practically melted. I spent Friday evening in the pub with Roger Dean and Michael Kipper and Dave from LA and it was a great weekend altogether. Now it’s back to reality with our next show tomorrow (Sat 8th Oct) in Carlisle at The Brickyard. My “Yes history” started back in 1971 at Manchester Free Trade Hall on the final Yes Album concerts as later that year Yes returned with Rick Wakeman in place of Tony Kaye and the rest is history as they say. Well better crack in and clean my Rickenbacker ready for tomorrow! All the best,keep up the great work. Incidentally, we don’t play safe in SeYeS! So basically, ‘Yessongs’ with ‘Gates…’ – that’s a show I’d like to see! Hi Pete. Great to hear from you. We must find a time to speak to you on the podcast. I’ll put you ‘on the list’ – that sounds grand doesn’t it? I enjoyed the video from Dave – well done indeed! This is Mark from the Yes Music Podcast. Just wanted to say thank you for the kind words regarding the show. Also I must say I’ve really enjoyed viewing youtube clips of your band. You guys play the music extremely well. A prog rock holodeck, you say (which sort of brings this whole thing full circle for me, as I was first introduced to Yes music through ‘Star Trek,’ but that’s beside the point). . . How about this, Kevin: what if you went to see Yes and the opening act was 1970 Yes. . . ? Hi all. Just wanted to chip in some comments on ARW. 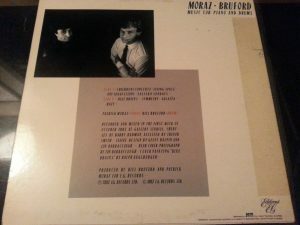 I live in the U.K. so haven’t seen them live – but I’ve seen the videos and heard the full first show audio from YouTube. Jon is out of Yes – no point in arguing whether that was choice or circumstance. But he’s now fit enough to play YesMusic. There’s probably no way back to the main band without something drastic happening and that would likely require a commitment to touring that doesn’t meet with his terms. What to do? Well one possible solution is – form your own Yes. RW and he are good friends so that’s an easy choice – and of course he’s the keyboard player most associated with the band (even though he only plays on 6.5 of their 20 released studio albums – though that’s more than any other!). 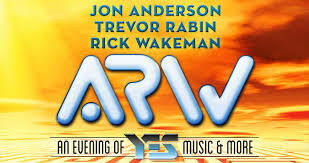 Unfinished business with Rabin combine with wakeman’s desire to work with TR mean he’s also in. New music may come but for now this band is all about reigniting the Yes catalogue. The choices are quite safe – but the playing is really on fire, especially with Wakeman and Rabin completing the band. I was very impressed from what I heard esp when the band mixed things up!!! Thanks, Geoff! It’s a good point about Jon wanting to create his own version of the band – I’m sure that’s what he is doing. As you say, how could he return to the current Yes? He does sound very good, as far as I can hear so 2 good versions of Yes gets my vote! By the time I hear them, I bet they will be brilliant – but will they be playing anything from Talk? I know you are a big fan of Talk, but I also think you are in the minority of Yes fans. I know there were many problems with distribution that caused this album to go mostly unnoticed, but the reality is, that if they started playing something from Talk, the majority of the audience would probably wonder what they were listening to. Bottom line is, they are going to make more money playing greatest hits. Great episode with plenty for me to watch and listen out for when I see ARW this coming Saturday. Kevin and Mark – I really think having the dialog between both of you in the podcast is working well; it is neat to hear you bouncing questions, thoughts, and ideas off of each other. Well done. I have a question for you. 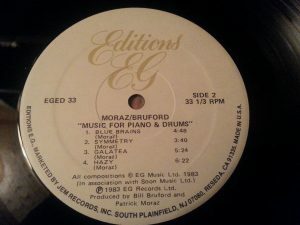 It seems like a natural idea to include snippets of songs you are discussing, especially during album reviews or thoughts on live shows. 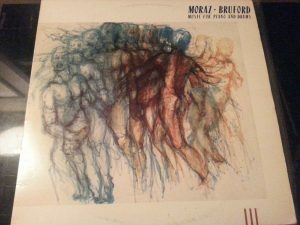 Mark, your excellent review of the Bruford Moraz album would have benefited greatly from having some of the music you were describing played during the review. 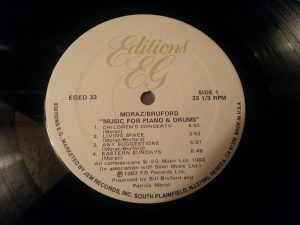 Have you ever considered doing this, or is it a question of music rights violations? I so appreciate the album reviews because after I listen, I go back and revisit the album in question and enjoy it all the more. Thanks Craig, that’s really kind. Yes the only reason we don’t include clips is because in the UK we would need to pay for a license and also arrange for the rights for each track from the publishers. Unfortunately we just can’t afford to in time or money! If the podcast was produced in the US we could claim ‘fair use’ but even then we could be challenged. Maybe the law will catch up with technology one day! Thanks again!